I think I may have spoken too soon when I named Private Life the best offering from Netflix I have seen this year, because Shirkers is so good, it just blows everything else out of the water. I heard about the movie from a colleague of mine, who was going to watch it on Netflix over the weekend. The premise intrigued me, and I thought I would make the most of my pseudo early day from work and have a date with Netflix. 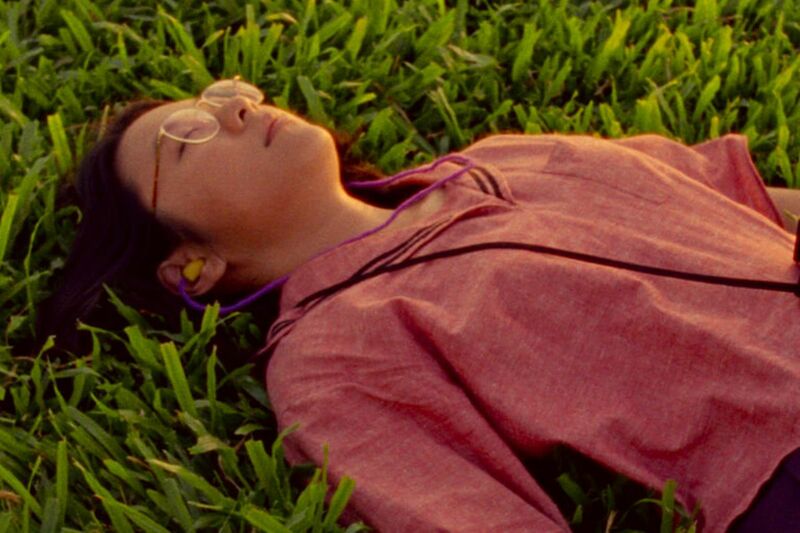 Shirkers is so deliciously tantalizing that it filled my thoughts for most of the night, making it difficult to sleep as the surrealism of the film pulled me deeper into its web. If that’s not enough of a recommendation for you, I don’t know what is. 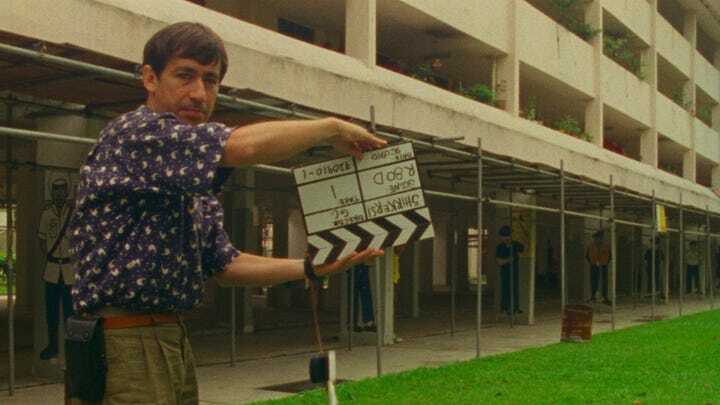 In 1992, Sandi Tan and her friends Sophie and Jasmine shot Singapore’s first indie film — a road trip movie called Shirkers — with their enigmatic American mentor, Georges Cardona, as the director. Sandi wrote the script and played the lead, a killer named S. After shooting wrapped, Georges vanishes with all the footage, leaving the three in a net of confusion, unable to understand his actions, and grieving for something that never came to be. 20 years later, the 16mm cans are recovered in New Orleans, sending Sandi, now a novelist in Los Angeles, on a new personal odyssey across two continents, to unravel the mystery and to finally give Shirkers an existence that it deserves. When Tan recovered the footage, she knew she had to do something with it. But doing something with no money is a hard thing in film. She managed to get funding from the Sundance Institute and Cinereach, but that money could only stretch so far. This forced her to be more resourceful and creative, with her hiring a 27-year-old skateboarder Lucas Celler as the editor of the film, and the both of them working on the film in her garage for 8 months. The bright spot to this is that having no producer over her shoulder meant that she could stretch the film in whatever creative direction she wanted. She must have done something right, since the film was awarded the Directing award at Sundance in 2017. The road trip essentially functions as a motif in the documentary, where each road trip experienced by Tan culminates in a pivotal moment. In the film, she describes the road trip she took with Georges to New Orleans, which inspired her to write the script for Shirkers. In Shirkers, the main character S is basically on a road trip, finding people to take with her on her journey. When Tan discovers that footage of Shirkers still existed, she went to visit Georges’ widow, whom she took a road trip with to try to figure out who Georges was, and what made him do what he did. And that road trip is in part why we have this film. Tan’s induction of her own life into her own creation is what makes Shirkers so effective as a documentary. It is an amalgamation of realness from her own life and fantastical elements from the movie she made, as well as other film clips strewn in along the way. The main driving force of the film is the mystery of this man, and the reasons behind his actions. I feel that in a way, Tan started her journey into making this documentary as a way to unravel him, to find a way to understand and at the same time, exorcise his presence. He has haunted most of her life, the ghost of Shirkers and his absconding with it something never quite far from her mind. This is not only the case for Tan, but for people who were close to him as well, who in hindsight recognize how blind they were, and how they never really knew him. Cardona is a real life man wrapped in a fictional layer. When he speaks to people, he tells them stories of who he is, but these stories are simply copies of other things. There is such an unrealness to who he is, so much so that he gains a kind of mythological presence in Shirkers. As I watched the documentary, I wonder if that was his plan in some way, doing what he did with the film because he knew instinctively that Tan had a gift, and he wanted to be a part of that gift in some fashion, however cruel it might be. Memories exist as fragments, turning into a wispy haze once the clarity of the present becomes the past. We can’t hold on to it, no matter how much we want to. So we try to catalog as much as possible, with pictures and videos to remind us of what we used to have, and who we used to be. This is why the absence of Shirkers feels so unsettling. Here is a film that they worked on for more than 2 months of their life, a film that would carry their experiences of that moment, and it just disappears. It is a ghost that haunted them, a loss they grieved for. The documentary shows this so acutely, the longing encased deeply within the clips from Shirkers that twines itself around the narrative. It creates yearning for the viewer as well, the urge to see more, to recover what was lost, but knowing that while the documentary gives Shirkers an afterlife, it can never bring back what never existed in the first place. Nostalgia runs rampant through the setting as well, where we are treated to images of an older Singapore, the Singapore that existed before all this progress and urbanization, a Singapore I had forgotten about. Forget Crazy Rich Asians, this is the most authentic I have ever seen Singapore look, where I was reminded of driving through tunnels and car washes, and places that are no longer functioning, like the Bukit Timah Railway Station. This is a Singapore that is slowly ceasing to exist, and in the future, all we will have is a collection of Art and film that shows it like it was, but no longer is. A huge part of what makes Shirkers such an amazing film is the magic touch of Sandi Tan, and her existence as the emotional core of her film. This is her story, she is the narrator. She is also the director, responsible for stitching the visual narrative together, and on top of that, her younger self is the lead actress. She is in every facet of the film, which makes it a personal tale, yet it has collective thread flowing through it, that of the artist and her creation. To create something is a personal process, where you give a part of yourself to what you create. In telling this story, Tan has shared a painful part of her life with all of us, and by doing so, she turns her grief into Art. 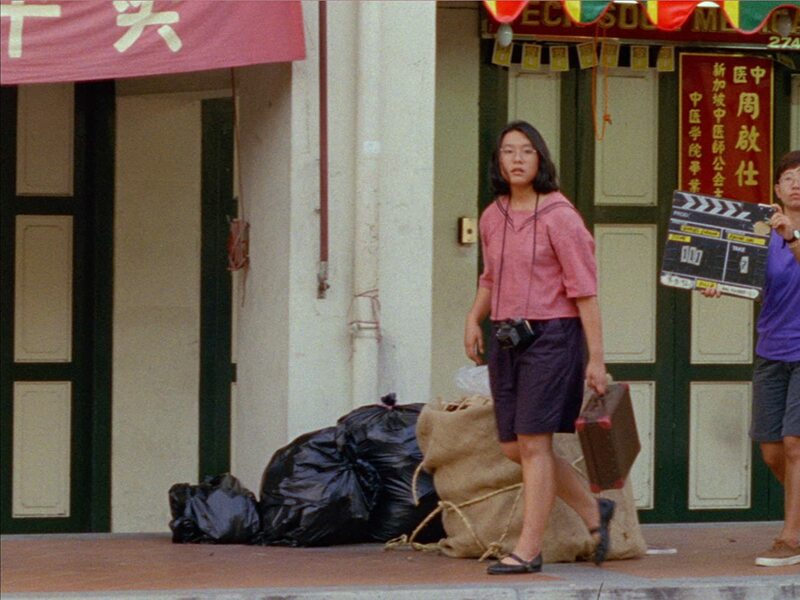 There is this moment in the film, where Tan recounts a part of her script that discusses an aspect of photography. When you look through a camera lens, your mind catches something from the mere viewing, so the photo or the film doesn’t really matter; the action of trying to capture this moment allows you to remember it. I think that is what this documentary is for Tan. Through her creation of this film, she will always remember what Shirkers was to her, and that, my friends, is powerful stuff. Thanks for reading! What are your thoughts on Shirkers? Comment down below! Natasha Alvar, your review was perfectly written. Your words were as my feelings for these children/adults and their movie/life experience. The documentary…”it can never bring back what never existed in the first place”. Oh my! Thank you so much 🙂 I am so glad you watched “Shirkers”! I really hope the film gets the reach it deserves, being on Netflix.